For the first time in DLS Camps history, we are offering an All-Sports camp! Looking for a great location for your children (K-3) to have fun, be active, learn and improve their athletic skills this summer? Come join us in a positive, caring and fun environment. Activities included but not limited to: Basketball, Soccer, Volleyball, Dodgeball, Capture the Flag, Kickball, Frisbee and MORE! De La Salle All-Sports Camp provides kids with a unique opportunity to experience a wide array of recreational activities while learning sportsmanship, teamwork and a better understanding of each sport. Session 1 - July 8-11, 2019 - 8:30-10:30 a.m.
To register for any of the All Sports Camps, click on the camps button below. For the first time in DLS Camps history, we are offering an Archery camp! This is a NASP (National Archery in the Schools Program) basic archery program. Students will enjoy learning about the bow and arrow, proper technique and skills to become an accurate archer. Shooting activities include target archery, balloon popping and tic tac toe games. All equipment will be provided for campers. Students with their own equipment may be allowed to use it upon inspection. This is a beginners class designed to teach students the basics of archery from the history of archery, the components of the equipment, to proper shooting form and accuracy. Equipment is top of the line youth compound bows and arrows. Session 1 - June 11-13, 2019 - 1-3 p.m.
To register for any of the Archery Camps, click on the camps button below. The De La Salle baseball camp will give young players a chance to further develop their skills in every facet of the game. The camp will emphasize the proper techniques for each player's position and segment of the game (running, stealing, throwing, receiving, hitting, bunting, pitching, catching, outfield play and infield play). Drills and practice in all categories will be given to help strengthen and develop the player. Games will also be played so the coaching staff will be able to analyze and help the camper in real game situations and scenarios. Each camper will work hard but enjoy while learning the finer points of baseball. Open to incoming 4th-9th graders. Session 1 - June 10-13, 2019 - 8:30 a.m.-12:30 p.m. Session 2 - June 24-27, 2019 - 8:30 a.m.-12:30 p.m. Session 3 - July 8-11, 2019 - 8:30 a.m.-12:30 p.m. Session 4 - July 15-18, 2019 - 8:30 a.m.-12:30 p.m.
To register for any of the Baseball Camps, click on the camps button below. We will be covering a wide array of topics and show different ways that each skill can be worked on at home or in the gym. Spaces for this camp will be limited. This camp will be run by our De La Salle Basketball staff. De La Salle Basketball camps are aimed at creating a fun and safe environment while teaching the fundamentals of the game. Each De La Salle Basketball camp will be staffed by the DLS Basketball staff, current student-athletes and alumni. Shooting, ball handling, passing, rebounding, defense, footwork, 1 on 1 moves and big man moves will all be covered. Our camps will also incorporate and stress having the proper attitude, teamwork and listening skills. Campers will be grouped by skill level and grade. Camp is open to K-incoming 9th graders. Boys and girls are welcome. We look forward to seeing you all this summer at camp! Session 2 - June 17-20, 2019 - 8:30 a.m.-12:30 p.m. Session 3 - June 24-27, 2019 - 8:30 a.m.-12:30 p.m. Session 5 - July 22-25, 2019 - 8:30 a.m.-12:30 p.m.
To register for one of the De La Salle basketball camp sessions, click the camps button below. Nike Elite Basketball Summer Tournament - June 14th and 15th , 2019! Bob Ladouceur’s Championship Football Camp was established in 1988 to help teach sound, fundamental offensive and defensive football techniques to the pre-high school player. The coaching staff will use demonstration and individual drills to teach basic skills to both beginning and experienced players. Proper warm-up, physical conditioning, skills drills and review are part of each scheduled session. Coach Ladouceur will be assisted by his regular coaching staff and selected former players. Full contact is not a priority at this camp. Open to incoming 4th-9th graders. June 17-20, 2019 - 8:30 a.m.-12:30 p.m.
Quarterbacks — Stance, exchange, drops, set-up, sprint out, play action, screens, ball handling, option, reading defenses, and field leadership. Session 1 - June 8, 2019 - 8:30-11:30 a.m. Session 2 - June 15, 2019 - 8:30-11:30 a.m.
*Two separate camps. Same curriculum for both weeks! Open to incoming 4th-9th graders. - 16 Top tier Varsity teams from Northern California! June 22nd! The focus of the Premier Football Camp is to athletes, serious about Football, to the next level. The camp which will run Monday - Thursday will be focused on high level technique mirroring the Practice and Tradition of De La Salle's storied program. At the end of the week the athletes will have a comprehensive road map to success on the Football field and beyond. +June 17-20, 2019 - 12:30-3 p.m.
To register for any of the Football Camps, click on the camps button below. Are you looking to take your lacrosse game to the next level? Then come out and join current DLS staff, alumni and professional players as we look to develop and expand lacrosse IQ through a series of 4-day/positional camps. Camps will be held at De La Salle High School for 5th to 12th grade boys. 4-day camps will focus on small group stations leading up to positional play and advanced skills. Players will receive high reps and one-on-one instruction of the core fundamentals of the game such as cradling, passing, shooting, offense and defense. Camps will end with small sided games and competitions. Hope to see you all out there! To register for any of the Lacrosse Camps, click on the camps button below. The De La Salle soccer summer camp is a terrific opportunity for boys and girls who look to excel in all aspects of the game. Athletes can expect to participate in competitive drills, skill development exercises and daily competitions between campers. Open to incoming 6th-9th graders. Regular Session 1 - June 10-13, 2019 - 8:30 a.m.-12:30 p.m.
Open to ALL elite players 8th-12th grade. Focus is on technique, increasing tactical awareness and position specific functional training. Premier - Gold level players preferred as the camp is designed for those players who have already been exposed to an advanced level of training/competition. July 29 - Aug. 1, 2019 - 8:30-10:30 a.m.
To register for any of the Soccer Camps, click on the camps button below. We are pleased to be able to provide everyone with a prepatory program to aid in the prevention of injuries, teach athletes how to Olympic lift, teach exercise technique and proper warm up. De La Salle Strength & Conditioning camps are a great way to give youth access to professional training that will enhance their athletic abilities. DLS’s head Strength & Conditioning coach will run the youngsters through development exercises and movements to improve their core strength, coordination, agility, overall strength, power and Speed! Speed training starts in the weight room and here at DLS we embrace that concept. Proper exercise techniques will also be taught to all of our camp youngsters. When they leave camp their running capabilities will be significantly enhanced. Explosiveness and agility will also be taught through youth-friendly plyometrics, partner drills, and competitions. Dynamic warm-ups and static stretching will be included to promote a proper warm-up, flexibility, and overall conditioning. The importance of nutrition in athletics will be presented as well. Session 1 - June 10-13, 2019 - 1-2:30 p.m. Session 2 - June 17-20, 2019 - 1-2:30 p.m.
To register for one of the De La Salle Speed, Strength & Agility camp sessions, click the camps button below. The De La Salle Summer Swimming Clinics are open to all competitive swimmers! The camps will be progressive in nature over a full 3 weeks. Please click the link HERE for more information! To register for any of the swimming camps, click the registration button below. Description: Campers will learn the rules and guidelines for improv as well as several performance type improv games. The De La Salle track and field camp will give campers the chance to work with outstanding coaches and athletes. 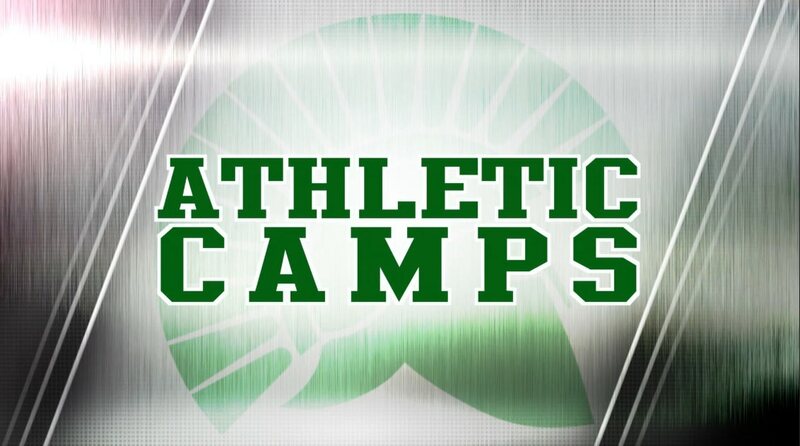 The camp will feature personalized instruction in high jump, long jump, triple jump, shot put, discus, sprints, hurdles, relays, and distance events. All participants will learn warm up and strengthening routines that are necessary for maximizing performance and reaching goals. Attention will also be given to the mental component of competition in an effort to properly prepare campers for success in track and field. This camp is for incoming 4th through 9th graders. Session 1 - June 24-27, 2019 - 8:30 a.m.-12:30 p.m.
To register for any of the track and field camps, click on the camps button below. The De La Salle Volleyball Camp will give boys and girls entering Grades 4 - 9, the opportunity to learn from the De La Salle coaching staff and former standout student athletes. The camp will emphasize the proper techniques for each players position and segment of the game. Drills and practice in all categories will be given to help strengthen and develop the player. Session 1 - July 15-18, 2019 - 1-4 p.m.
To register for any of the Volleyball Camps, click on the camps button below. Description: The De La Salle Water Polo camp is designed to help prepare athletes for their upcoming high school season. The camp will focus on building a fitness base for the start of the season as well as focusing on fundamental ball skills, positioning and game-like situations. Description: The De La Salle Water Polo age group camp focuses on fundamental ball skills, positioning and game-like situations. The De La Salle wrestling camp is designed as an introductory and intermediate level camp. We will be emphasizing the fundamentals needed to learn more advanced sport specific wrestling skills and tactics. Our curriculum is geared to prepare campers for beginner and intermediate level competitions. Open to incoming boys ages 10 to 14. The emphasis is for each of our students to learn the basic fundamental skills needed to wrestle at the junior high and high school levels. To register for any of the Wrestling camps, click on the camps button below. *Financial aid is not available for any of our camps. For more information email summercamps@dlshs.org or call 925.288.8100 ext. 7090. If you wish to be on our camp distribution list please click the link HERE and fill out your information!